It's Friday - we made it! 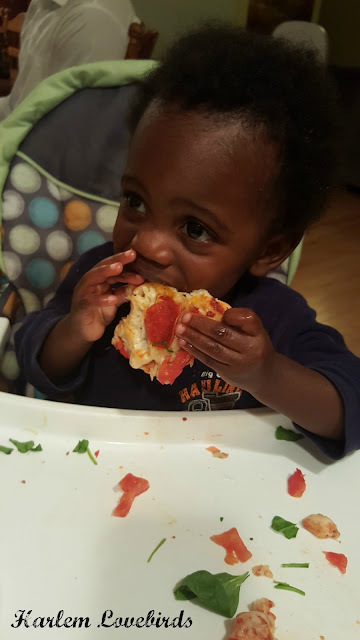 Growing up this day marked an important weekly tradition: Family Pizza Night. 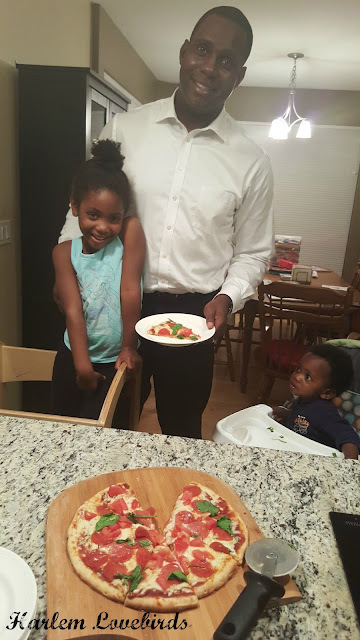 I've written about this tradition before on the blog and shared how we've now perfected our own homemade pizza recipe and while I always have lofty plans of spending a Saturday morning making batches of pizza dough to freeze that hasn't happened yet since having two kids. 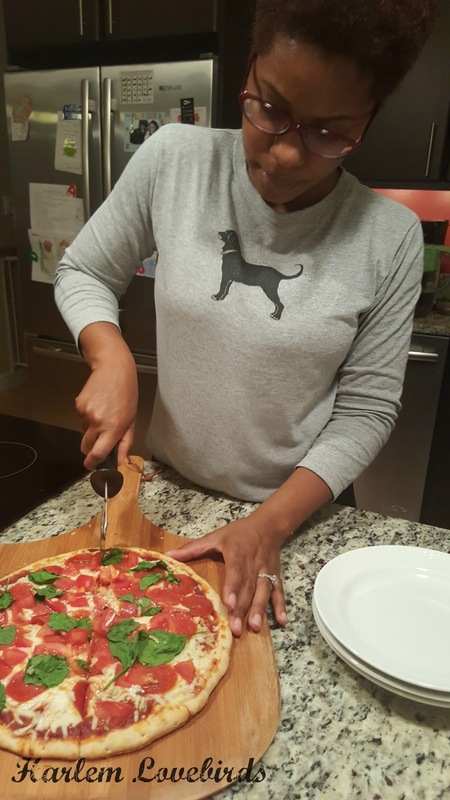 When Rustic Crust reached out to me to celebrate National Pizza Month (yes, October is the official month! ), I was very curious. 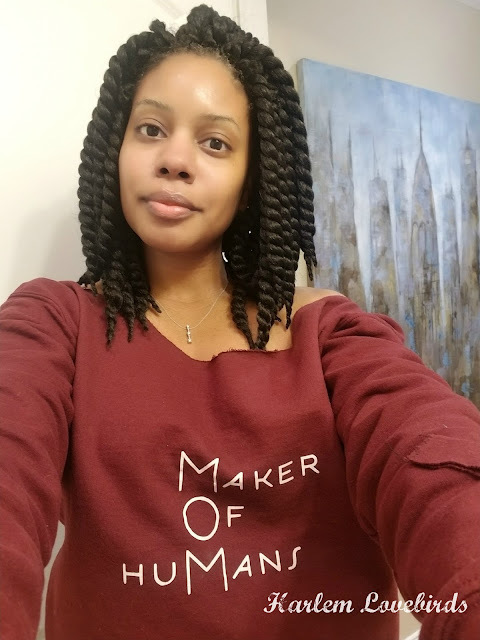 With anything that I review, especially food, I took a look at the company and its ingredients. 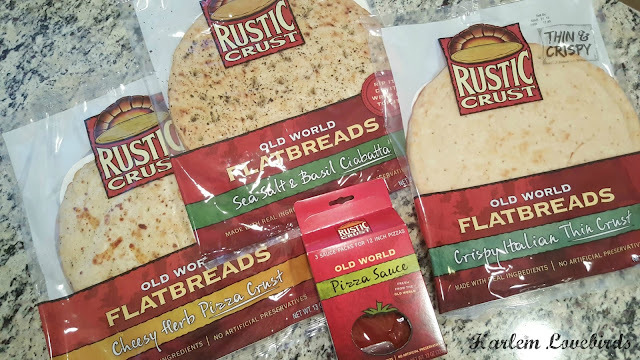 I was impressed by the fact that Rustic Crust is a local New England company and the ingredients were all things I could pronounce. Mr. Lovebird agreed it sounded good so I gave them the go ahead to send over samples. 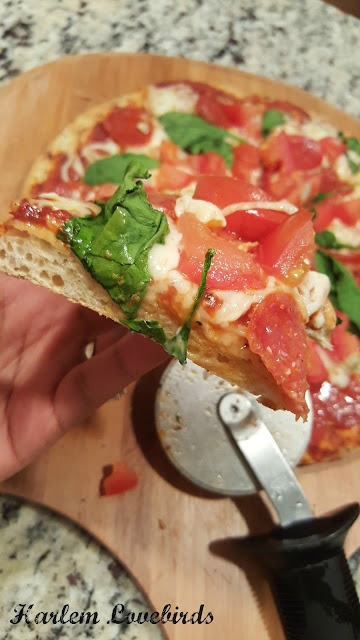 Mr. Lovebird and I went through a pizza dough experimentation period a few years ago and we were intrigued by all the crust flavors, but wondered how Rustic Crust would compare to homemade. Rustic Pizza's put together some inspiring ideas here, but we decided to let Nia have full reign of toppings selection. 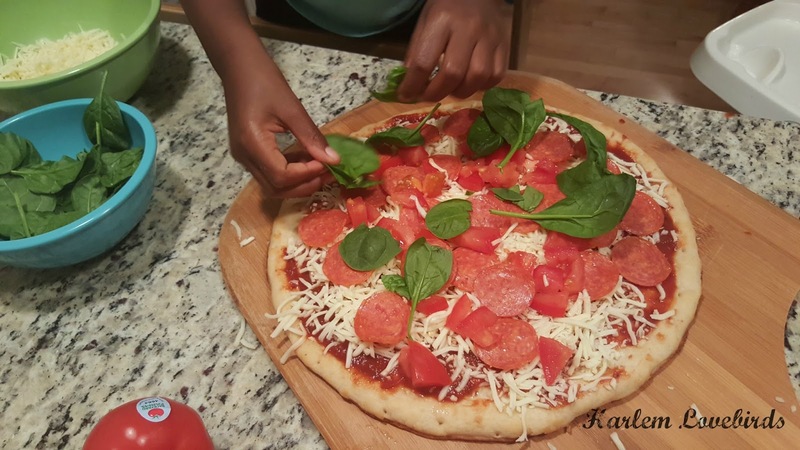 She decided on spinach, cheese, garlic and her favorite: pepperoni. 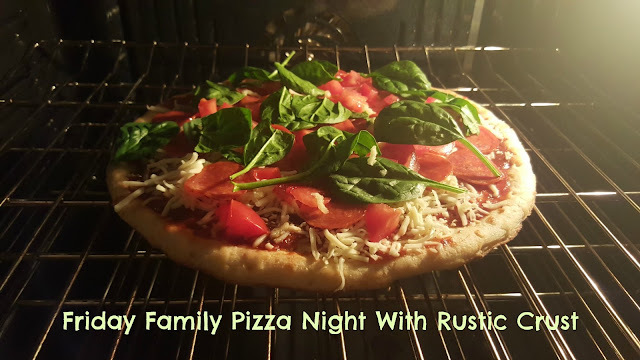 Rustic Pizza prides itself on being hand-formed, free of GMOs and artificial ingredients, made of unbleached whole grain flours and made in the USA. I especially liked the oversized rounds so we could fill it with so many toppings. Additionally, the pre-measured pizza sauce packets were a definite time saver. 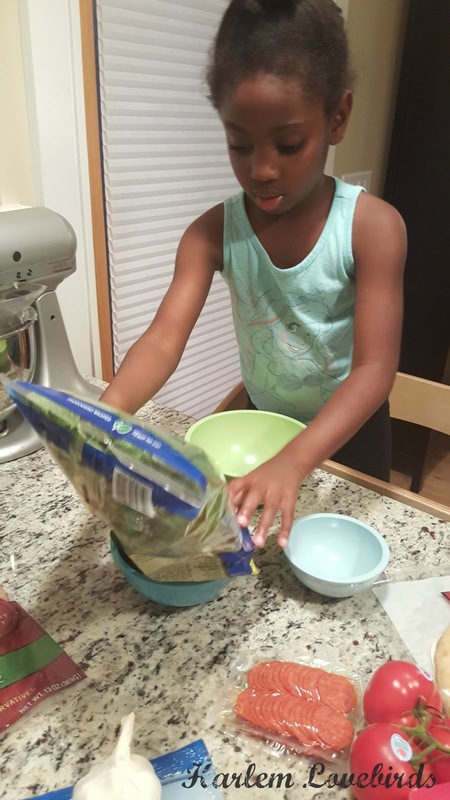 It was even easy enough for Nia to squeeze onto the pizza by herself! Baking our pizza was very easy: we set our oven to 450 degrees then reduced to 425 before putting our pizza in. It was done in under 12 minutes! Mr. Lovebird was en route to an errand as we were finishing up our pies but they smelled so good he decided to delay his errand run to try it. We were all thoroughly impressed by all the crusts, but the Crispy Italian Thing Crust was our favorite because we're used to baking our pizza on the stone and liked how it came out perfectly crispy after being baked right on the oven rack! Mr. Lovebird further delayed his errand so he could have some of our second pie. 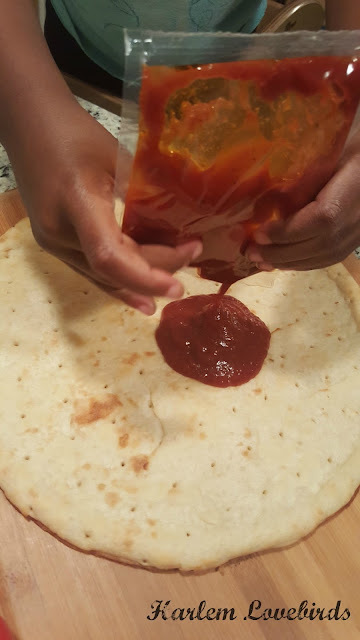 We gave the Sea Salt Basil Ciabatta a try and liked the extra flavor - I'd even like it as a snack cut up in strips and dipped in marinara sauce! 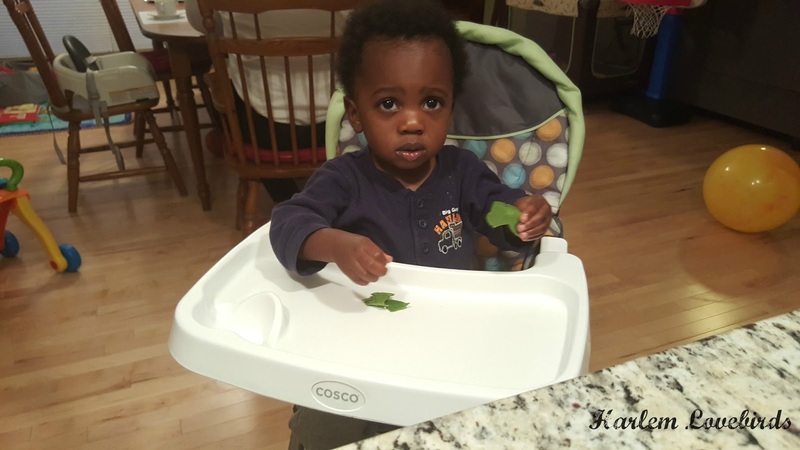 A few nights later our 3rd Cheesy Herb Rustic Crust was handy when our babysitter was with the kids during dinner time. It was easy for them to do together and they ate it right up! Would you like to give Rustic Crust a try? Visit their website for a store locator, coupon as well as follow on Facebook and Twitter for pizza inspiration. Does your family have a pizza night? What toppings do you like to include?